Leeds’ Capital One Cup hopes were demolished by a second half salvo from Chelsea, on a night which promised much but ultimately ended in disappointment for Neil Warnock’s men. In spite of a shock first half lead for the Whites, the visitors ran out comfortable 5-1 victors. The score line, however, did not reflect the overall balance of a match in which Leeds can be proud with their performance against a side whose centre forward is valued at the same price as our entire club. Warnock named a strong starting eleven, largely unchanged from Saturday’s win over Ipswich. Paddy Kenny and David Norris dropped to the bench, to be replaced by usual Capital One Cup goalkeeper Jamie Ashdown and gritty midfielder Michael Brown. Clearly the plan was to welcome Rafa Benitez’s men to West Yorkshire with all the gusto and verve for which the ‘dirty Leeds’ moniker was coined. Any hopes that the Premier League side would be jet-lagged following their far-eastern adventures over the weekend were quashed in the opening stages of the match. Leeds started brightly, but Chelsea looked dangerous. Juan Mata and Victor Moses were proving to be the toughest challenge faced this season by Captain Lee Peltier and young sensation Sam Byram. Moses fired in several first half efforts which Ashdown did well to turn away. Michael Brown had been given a job to do and he was doing it, frequently frustrating Frank Lampard and Oscar in the centre of the park. On thirty-seven minutes, the giant-killing was well and truly on. Michael Tonge began a counter attack by feeding the ball to Jerome Thomas in the left wing position. From there, the loan man produced a sumptuous cross which was greeted with an even more sumptuous finish from Luciano Becchio. Petr Cech was left standing as the ball found the bottom corner and pandemonium broke out amongst the 33,000 strong crowd. Minutes later, a Tom Lees header from an El Hadji Diouf cross flew narrowly over the crossbar. A 2-0 lead would have piled the pressure on European Champions, but Leeds had to settle for a one goal half-time lead. The pivotal moment in the match came within two minutes of the second half. Spain international Mata found the bottom corner with a low left footed strike. Ashdown’s fingers agonisingly brushed the ball on its way in and, in truth, the Leeds keeper should have done better. 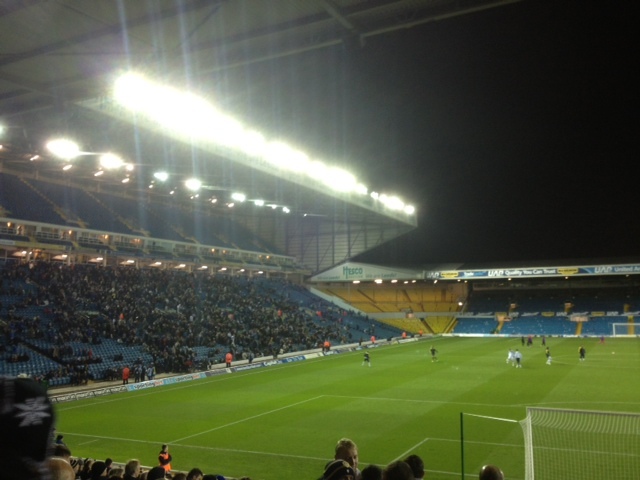 To concede so soon after the interval deflated Elland Road. Leeds fought back and pushed forwards, but confidence was growing ominously amongst the men in blue. A quick fire double settled the match as a contest shortly after the hour mark. A Branislav Ivanovic header from a corner gave Chelsea the lead, before Moses powered a shot into the bottom corner. Aidan White, Ross McCormack and David Norris stepped off the bench as Warnock chased the match. A flurry of corners temporarily raised hopes of a famous comeback, but the luck was not with the Whites tonight. As Leeds pressed, Chelsea countered. Eden Hazard broke the offside trap to score with ease and the scoring was completed by Fernando Torres, who tapped into an empty net. Leeds have bigger priorities this season and, whilst a semi-final would have been welcome, the focus can now return to the re-emergence of our promotion push and Friday’s takeover completion.